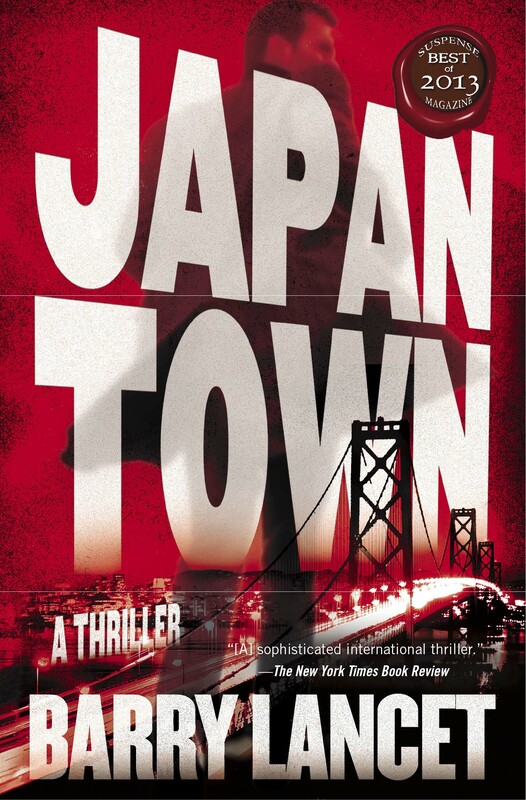 On May 10, 2015, award-winning author of the thrillers Japantown and Tokyo Kill Barry Lancet spoke about how he moved from a career in editing to writing fiction and offered some pointers for aspiring authors. The lively audience contributed to the experience and insights shared. Our thanks to Jeremy Hill, who wrote this report based on a recording of the talk and feedback from the speaker. Regardless of genre, Barry Lancet reminded us, the essential qualities of good books are basically five: They present good storytelling, characters with whom we can identify, and a new world (which may be near or faraway) or a new way of looking at a world we already know; they also reveal some sort of truth about life, people, and the world in which we live; and last, they offer emotional highs and lows that engage and entertain. By no means limited to fiction, these are qualities that are increasingly found in nonfiction these days as well, Lancet noted. Nonfiction used to be very dry, and as a lover of good creative nonfiction I can readily testify to this. It does not need to be dry, however, and here is where Lancet’s talk can speak not only to the aspiring fiction writer but to those of us who write, edit, or translate nonfiction as well. How did Lancet, who was an editor at Kodansha International for 25 years, become a thriller writer? As a person who has wanted to write fiction since I was ten years old, I was eager to hear how he made the transition. In his college days, Lancet said, he had spent most of his time reading classic, modern, and contemporary literature—Dostoyevsky, Balzac, Hugo, Jane Austen, D. H. Lawrence, Joseph Heller, and many more—and he was still reading them ten years after that when he first came to Japan more than 25 years ago. There were no genre authors in the lineup. In the meantime, he had decided to find a job in publishing, and instead of heading for New York, he took a roundabout route, and ended up in Tokyo. At that time, Tokyo was the home of several active English-language publishers producing beautiful and successful books, and he landed a job at Kodansha International. There he spent long working hours immersed in densely written Japan-related manuscripts. He was soon doing not only editing, but acquisition and book development as well. In addition, he was involved in production and research. He began to find he no longer had the energy to read the dense literature and nonfiction that he had once so enjoyed. It was then that he began to read and enjoy more commercial fiction. Several of his fellow editors were reading mysteries and thrillers, and he was surprised at the quality of writing. After a time, he began to see parallels between the many of the classics and the more modern, easier-to-read genre fiction. For example, he realized, Dostoevsky’s Crime and Punishment is possibly the first psychological thriller, Les Misérables is a historical/crime thriller with a splash of romance, and Alexander Dumas’s books are combinations of adventure, love affairs among the aristocracy, and politics. So many of the works he had long loved reading possessed all the elements of what we expect of good books, then and now, and this deepened his interest in and appreciation for genre fiction, and fueled a growing urge to write it himself. One is reminded of British musician Rick Wakeman, who made a similar move from studying classical music in the 1960s to becoming one of the forerunners in the progressive rock genre as keyboard player with the band Yes, before becoming a very successful solo artist with classically inspired albums such as Six Wives of Henry VIII and Journey to the Centre of the Earth. Both Lancet and Wakeman remain proud of their classical roots and the way those roots have shaped their current artistic output. Those were the seeds for his series about an American private investigator (and art dealer) based in Japan. Lancet then spoke about his two published thrillers, Japantown and Tokyo Kill, mentioning the third in the series, Pacific Burn, which he has just finished writing. He explained how he realized that while he wanted to develop a point of view and a character to get people interested in Japan, the country had to be secondary. He had to make sure he had all those five elements of good fiction he mentioned at the outset before he could bring in his interest in culture. The main protagonist of Lancet’s series is Jim Brodie, who, like Lancet himself, divides his life between Japan and the United States and knows things about Japan that Americans and others outside Japan don’t see or don’t know. That Japantown was recently optioned by J. J. Abrams and his production company, Bad Robot, in association with Warner Bros., and is now heading for Hollywood, Lancet recounted, appears to be because of “the appeal of the character of the work and his world.” The character’s knowledge of Japanese and Asian culture, unknown to the reader, is akin to the appeal of a Sherlock Homes “or Monk without all the mental issues,” he was told. Lancet noted the line on his covers that identifies his books as “thrillers,” as opposed to “mysteries,” and he called attention to the difference between the two genres. Mysteries usually involve a corpse and a detective (either a police detective, a private investigator, or an amateur) who then gets involved in solving a puzzle or mystery. Thrillers may have a mystery, but don’t always have a dead body. They have something big and threatening running through the story, such as a conspiracy that the protagonist must unravel to survive. As such there can be many sub-genres of thrillers (political, international, espionage, legal, financial, medical, military, paranormal, etc.). Barry’s books combine the elements of mystery and thriller and add Japanese culture, which to many is “a mystery in its own right” and what he likes to call a third layer of intrigue in his books. So while Lancet’s works are sustained by a strong character and by the big and threatening question that makes them thrillers, he fills out the details of his work with many references to Japanese culture. Jim Brodie, as well as being a private investigator, is also a dealer specializing in Japanese art and artifacts. 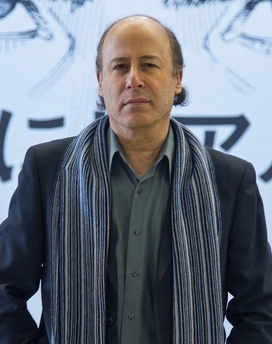 Drawing on background and knowledge gained from editing art and craft books over many years, Lancet gives Brodie this additional expert string to his bow and introduces some of Japan’s “cultural highs” to his readers, which will counterbalance the “cultural lows” depicted in the dark side of the antagonist, society, or the criminal underworld explored in the course of the story. When asked to read an example of how he inserted references to culture, Lancet said that would be rather difficult because he works to weave the cultural elements into the story as seamlessly as possible so as not to interrupt its pace and continuity. In this respect he consciously tries to avoid doing what some writers do, which is to break off the story and digress into what amount to mini-lectures on a particular subject—what many writers derisively call an “information dump.” That approach may have worked many years ago, commented Lancet, but contemporary readers have different expectations about storytelling and are less likely to want the story interrupted by a lengthy cultural aside, which is why he chooses to integrate the information organically into the story. Pacing is important to good fiction, he emphasized, and an author has to gauge how much readers already know and how much they need to know. In response to a question later on in the afternoon, Lancet recalled how useful his experience working as an editor has been in filling out the character and background of his protagonist. He had been editor of countless books on Japanese art and culture—which go into the very sophisticated traditions and background behind their subject matter—and this served him well in his attempt to make Brodie an art and antiques dealer. “When writing thrillers,” Lancet said, “one often has to deal with the dark side, the underside—something rotten in society, a group, or a person—but I really work hard to incorporate the high element as well.” These cultural ingredients—the special world of his thrillers—in any case, may be what give his books their niche and appeal in an already crowded field. What modern books of recent memory are likely to become classics in the long run? What will people still be reading 100 years from now? The audience joined Lancet in recalling names and titles familiar to eager seekers of genre fiction reputed for the quality of the writing, beginning with John le Carré (espionage thrillers like The Spy Who Came in from the Cold) and Stephen King, who is expanding the traditions of horror marked out by Edgar Allan Poe, Mary Shelley (Frankenstein), and Robert Louis Stevenson (The Strange Case of Dr. Jekyll and Mr. Hyde). Other names he mentioned include Raymond Chandler (The Long Goodbye, The Big Sleep), some of whose works are now starting to be considered “literature.” Less certain are authors like Dashiell Hammett (The Thin Man, The Glass Key), Robert A. Heinlein (Stranger in a Strange Land), Ray Bradbury (Fahrenheit 451, The Illustrated Man), and so on. So these parallels over time between what is literature and what is genre fiction add to the motivation for those writing today, suggested Lancet, “to think that in our efforts of writing genre fiction, we might be part of a bigger tradition,” and in that sense he feels somewhat that he has come—not full circle—but perhaps three-quarters of the circle from where he began as a student of literature. In response to a question about whether he would tackle writing a literary work, Lancet said “maybe,” but noted that he is under contract to write two more in the series of thrillers he has already begun, and those, plus other Jim Brodie stories he’d like to tackle, are likely to keep him occupied for some time to come. In sharing from his experience for the benefit of aspiring writers, Lancet devoted the last part of his talk to somewhat more “how-to” topics. Storytelling has changed, he noted, because reading has changed in the last 100 to 150 years. Reading was a form of armchair travel in a time when people didn’t travel much or have access to other forms of media; in addition to its entertainment value, fiction was a robust and noble medium of vicarious experience and access to information. The more detail readers were given, the more vivid and compelling were the images that came to mind, so the extended, often exquisitely written descriptions found in, say, Henry James, were embraced, regardless of length. In our age of television, film, and especially the Internet, many such images are now readily available to everyone, so what a writer has to do today, Lancet advised, is rather different. Because there is so much the reader already knows and because, to an extent, there is what he called a “shared body of visual knowledge,” often the writer has to include only enough description to “bring the image up in the reader’s mind.” The writer can thus approach writing differently, carefully select the detail he or she wishes to include, and get on with the story. Lancet also spoke about writing short and long, and how his books are gradually getting tighter, a trend he recommends: “Most of us habitually write longer by nature. There are many reasons for this. One is that it’s easier to write longer than shorter. The familiar quote—‘If I had more time I would have written a shorter letter’—may not have really been said by Churchill or Twain, but it’s still true. Avoid this trap. You want to write short and write shorter. That’s the mind-set you should have unless you are sure you’re a literary genius. I guarantee that in a medium-sized paragraph of, say, five sentences, you can effectively cut at least 10 to 15 words in the rewrite. If you remember one thing today, remember that. Always write shorter. It’s a form of self-editing.” And he added that “short” varies with style and intent. He then pointed out that there are two types of writers: “plotters” and “pantsers.” He doesn’t particularly like those words because they seem somehow to trivialize the writing process, but they are the most commonly used terms. Plotters spend a lot of time planning and outlining the story, whereas pantsers prefer to write “by the seat of their pants.” One approach is not superior to the other. Writers need to discover a way that works for them, even if it’s an approach that falls in the middle. Lancet prefers a method closer to the second approach, which is one of “discovering as you write.” By the time he is ready to begin, he usually has at least one theme, knows how the opening chapters will go, and has several key turning points later on in the story. And since he is working on an ongoing series with recurring characters with their own moral compasses, he has a general framework as well. As far as the storyline goes, one’s progress cannot be a meander; it is important to “jack up the tension and then sustain it.” In response to a question, he volunteered that one way of doing this is to write your hero/heroine into a bracing, compelling corner and then take time working out how to get him/her out. Lancet has done this at times for one or more sequences in his books. Usually the solution will come to him before Jim Brodie or another character is “trapped,” assuming he didn’t have the answer before he began the sequence. But he is not afraid to box them into a corner without a clear exit plan. He considers it a personal challenge to get them out. It may take a few days for him to devise an exit strategy, but he knows one will eventually surface. As a pantser, the solution—and ideas in general—often come to him when he is distracted by a completely unrelated activity. It could be during a walk, a train ride, a drive, or a shower. He noted that the subconscious works when we aren’t working, and it’s especially effective if we’ve given it enough to think about. He usually has pen and paper close at hand, but he remembers one time he was in the middle of swimming laps in a large pool at a local public sports center when the solution to a particularly complex problem finally occurred to him. He raced to the side of the pool, hauled himself out, and dripping wet ran up to the startled attendants and asked if one of them wouldn’t mind bringing out a pen and paper from their nearby office. When writing a thriller or mystery it’s important to keep the tensions flowing—both micro-tension (a minor disagreement between friends or a domestic dilemma) and major tension, such as the stages of discovering evidence in a murder, physical conflicts, disruptive emotional upheavals, and so on. He advises writers to “get into moments of tension sooner rather than later to create a compelling story.” A scene doesn’t have to be defined by a certain pattern. It need not unfold in the same way as a previous scene. Many well-known writers are known for following the same pattern in chapter after chapter, but this does not mean that all of us have to take this approach. Readers like variety. Lancet also spoke about his writing habits and related how when he first started writing fiction he was working 60- to 70-hour weeks. To find time to write every day, he had to make adjustments in his daily routine. He began by giving up three out of four lunch meetings and by learning to work standing up on a commuter train with a clipboard and pen. (Perhaps the same could be achieved nowadays with a smart-phone and one-handed typing.) He did say that he writes on the computer, but edits both by hand and on a PC. He usually splits his daily routine into two three- to four-hour writing periods—one in the morning, and then another after a lengthy break, sometimes working late into the evening. One of his key pieces of advice is, “Make sure you do something every day.” Even if there’s not enough time to write, writers should do something related to their project. If they can’t find an hour or two or even 30 minutes, do something for 15 or even 5 minutes, and do this every single day. Doing this keeps up the momentum and the thinking process, if not consciously then at least subconsciously. When asked how long it had taken him to write his books, Lancet said that the first book, Japantown, had taken him about seven years, but he had been struggling to find his “voice,” the right attributes for his protagonist, strong supporting characters, a compelling storyline that would stand out, and a dozen other items—all while holding down a very demanding full-time job. 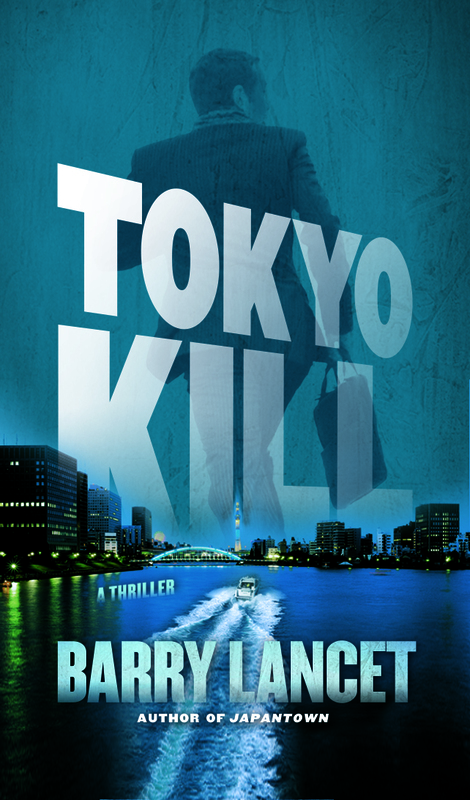 The second novel, Tokyo Kill, took about ten months, with no day job; the third took somewhat longer because of the considerable time he has been giving to his marketing obligations.